Beautiful! I love the pattern and the colour scheme and the quilting is just perfect! What a lovely quilt! It was definitely worthwhile that you persevered to finish making and quilting it. 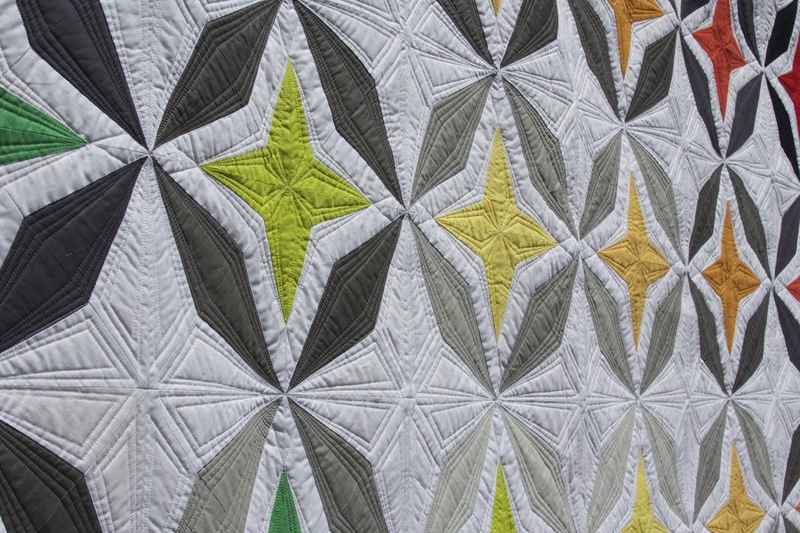 Your quilting is designs are certainly appropriate for the quilt top. I think it's gorgeous. I hope you're finding the perfect place to show it off.